alaTest has collected and analyzed 9441 reviews of Amazon Kindle Paperwhite 3 (3rd gen, 2015). The average rating for this product is 4.6/5, compared to an average rating of 4.4/5 for other products in the same category for all reviews. Reviewers are impressed by the price and screen. The size and portability also get good views. We analyzed user and expert ratings, product age and more factors. 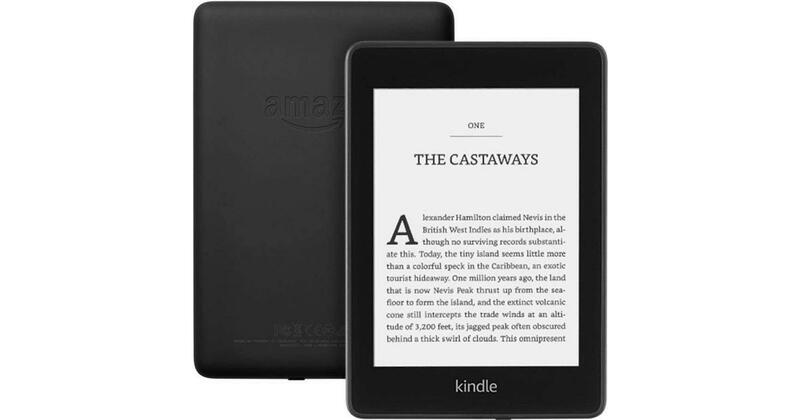 Compared to other products in the same category the Amazon Kindle Paperwhite 3 (3rd gen, 2015) is awarded an overall alaScore™ of 96/100 = Excellent quality. Thanks to a sharp display and fast performance, Amazon's Kindle Paperwhite is the best ebook reader you can buy for the price. Affordable. Sharp, bright screen. Improved performance. Excellent interface. Cloud-based storage. Vast ebook store. No adaptive backlight, waterproofing, or audiobook support. The new Amazon Fire TV box can deliver 4K video for less, and answer your questions with Alexa, but its focus on Amazon's own TV shows and movies makes it less desirable for users who subscribe to Netflix, Hulu and other apps beyond Prime. It could be a tad lighter, an AC adapter isn't included (just a Micro-USB cable for charging), and there's no memory expansion slot. The ad-free version costs $20 more. With an excellent built-in light and Amazon's best-in-class e-book selection, the Kindle Paperwhite rises to the top of the e-reader pack. It's not Amazon's most expensive e-readery, but it delivers the best value of any e-reader. The Kindle Paperwhite (2015) is a better e-reader than ever, thanks to a higher-resolution display that produces sharp text, as well as a simple, snappy-feeling interface. The Kindle Paperwhite just updated to a higher resolution screen for the same $120 price. I probably don't need to tell you it's better than the last Paperwhite. It definitely is.